Ask anyone who attended my club’s Eastern Sierra trip about the fish that made it to the net, and he’s likely to tell you it was about 18 inches. And that will be the truth. For some of our group that was the length of one rainbow trout. 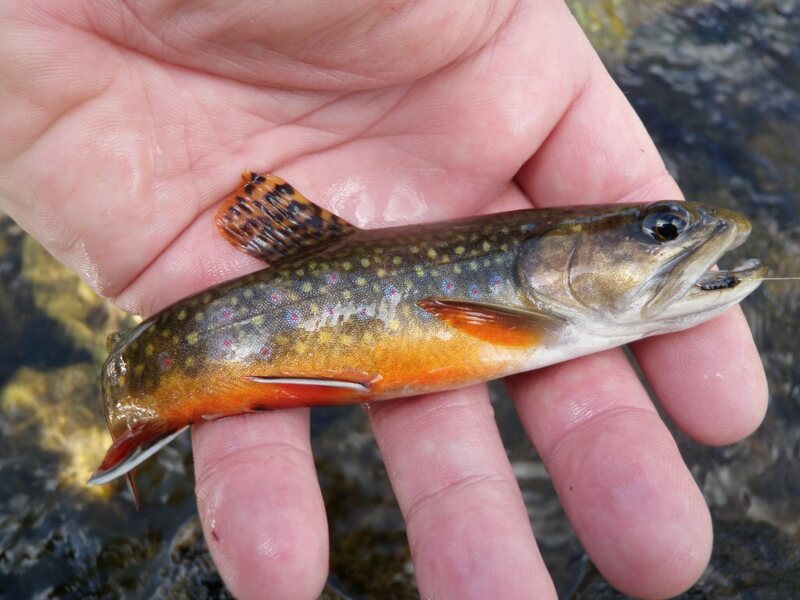 For others, that total of 18 inches was the cumulative length of six brook trout. That’s just how it can play out in the Eastern Sierras. The nice thing about an annual trip is that there always seems be to a landmark at which everyday life melts away and the focus shifts and sharpens to living in the present. Morning above the West Walker River. 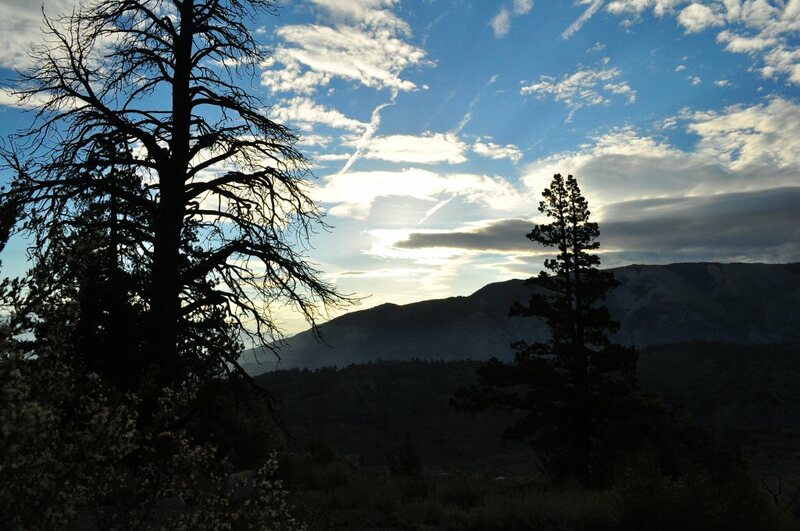 In this case, it occurs once the descent from Sonora Pass begins and the high desert stretches out in front of me. 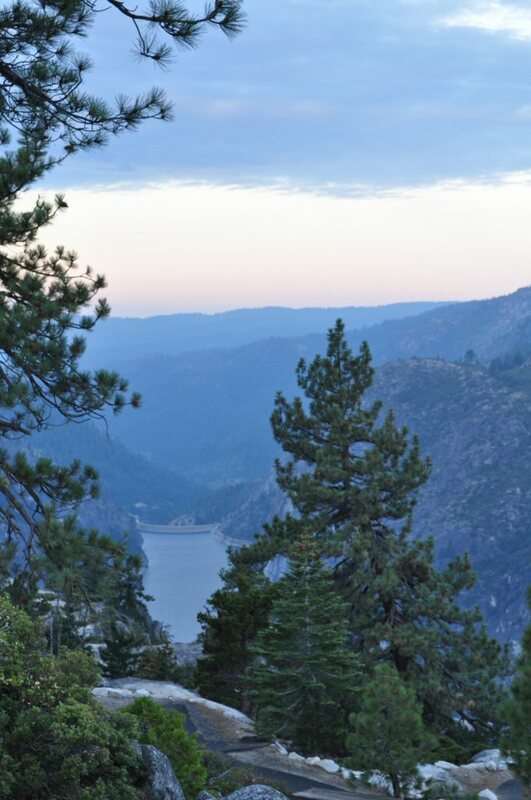 The route of choice this year was Hwy 108, as Hwy 120 (Tioga Road) was closed through mid September due to the Rim Fire. The usual commute traffic was there. Twice I would weave between cows meandering on the asphalt. 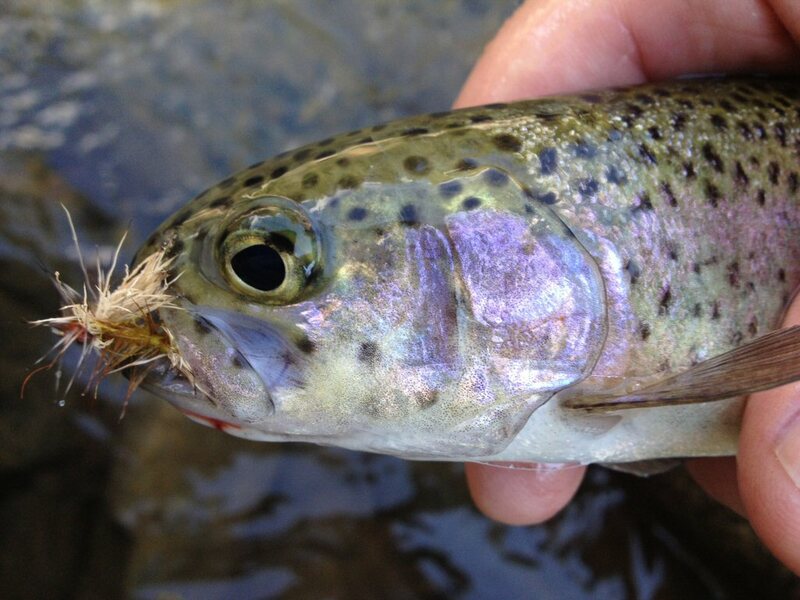 There are two maxims that apply to my fly fishing: (1) Get the skunk of as quickly as possible and (2) shaving serves no purpose. To address the first adage, I stopped at the West Walker River earlier than most fly fisherman would even take their first sip of coffee. Early enough to enjoy the stirring experience of hearing reveille echoing from the Marine Corps Mountain Warfare Training Center before my first cast. Most people head for “the bend,” knowing that pods of planted trout can be found and, occasionally, a bigger fish might be found under a cut bank. But upstream, pocket water is a bigger draw for me. Pocket water slows me down considerably, and it’s a good thing. 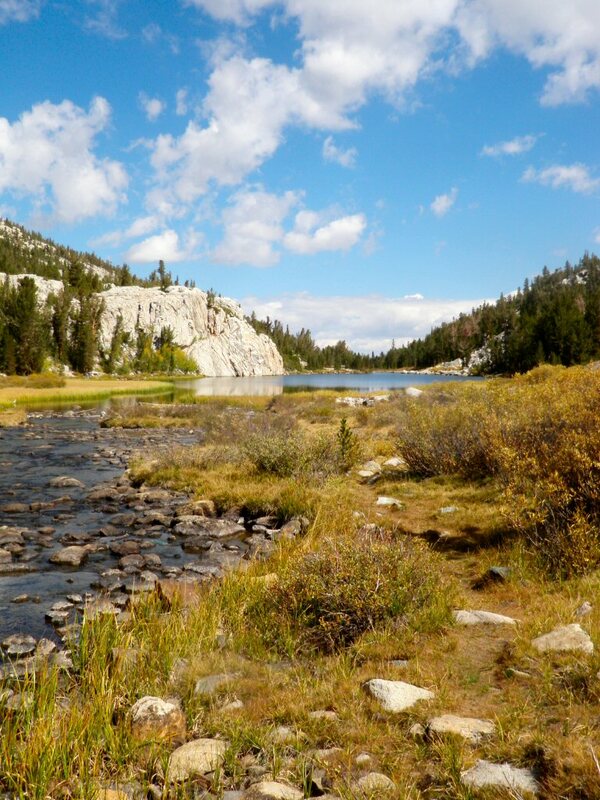 Besides the obvious, avoiding a fall and at least a sprain if not a broken bone or two, the pocket water in the Sierras tends to be favored by the better-looking wild fish, and they need to be stalked. With a slow and low approach, I found plenty of wild rainbows willing to play. When the sun was high in the sky and hiding my profile consigned me to shade and leg cramps, it was time to head down Hwy 395 to Tom’s Place Resort, , which if you’ve ever been, is a bit more basic than the name implies. But the price is right. The rest of our group, totaling 12, would filter in throughout the afternoon. After that, the real fishing would begin, to be followed by free flowing homemade beer, good food and plenty of lies. Smoke from wildfires hindering the view out over Donnell Reservoir toward the Sacramento Valley. 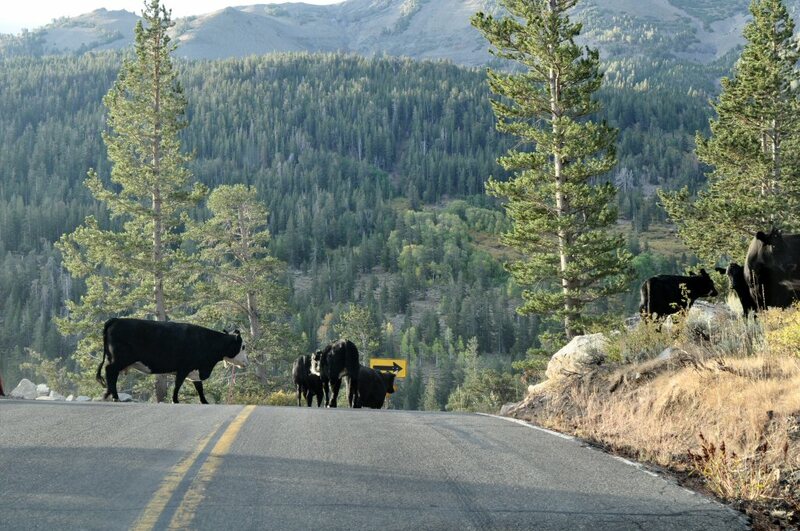 Morning commute traffic on the Sonora Pass Highway. Categories: Brook Trout, Brown Trout, California, Casting, Crowley Lake, Eastern Sierra, Fly Fishing, General Discourse, Hiking, Hot Creek, Rainbow Trout, Sierra Nevada, Trout, Tuolumne Meadows, Twain Harte, Vacation & Travel, Wild Trout, Yosemite | Tags: brook trout, brown trout, California, Eastern Sierra, flies, fly fishing, Hot Creek, rainbow trout, Rock Creek, Sierra Nevada, trout, West Walker River, wild trout | Permalink.